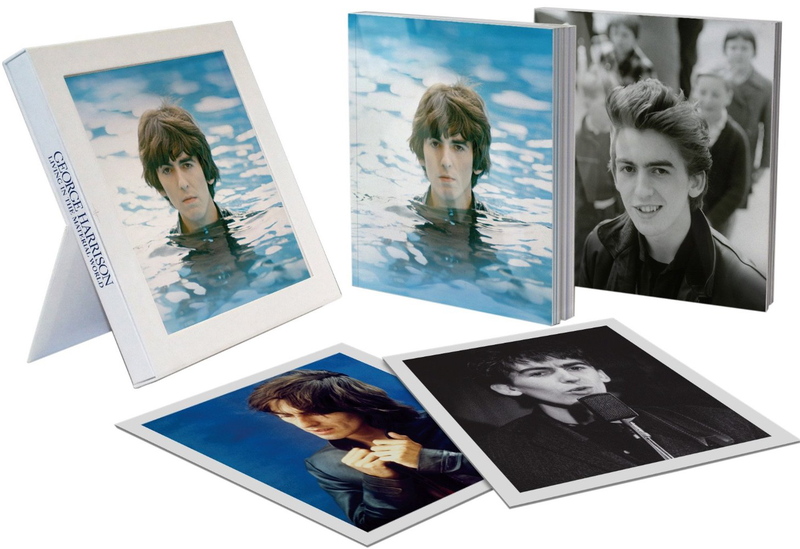 The George Harrison official site now has full details of the release of the book, DVD, BluRay and Deluxe editions of “Living in the Material World” – the new Martin Scorsese documentary about George’s life which will premiere on TV next week. In the US the film will be broadcast exclusively on HBO on October 5 (Part 1) and October 6 (Part 2). A US home video release will follow in the Spring. On the Harrison site now there’s a short extract from the film with Ringo talking about the recording of “Here Comes the Sun” which will give you taste of what is to come. The limited-edition Deluxe version is packaged in a bespoke picture frame box with easel back for photo display, and includes 2 DVDs and one Blu-ray featuring the film plus 11 bonus features, a 10-track CD of previously-unreleased recordings, 2 exclusive lithographs, and a 96-page book. This entry was posted in Beatles, Beatles Books, Beatles Collecting, Beatles Music, Beatles Related, Beatles related DVD, George Harrison and tagged Beatles, Beatles Books, Beatles Collecting, Beatles Related, George Harrison, Living in the Material World, Martin Scorsese, Scorsese by beatlesblogger. Bookmark the permalink.